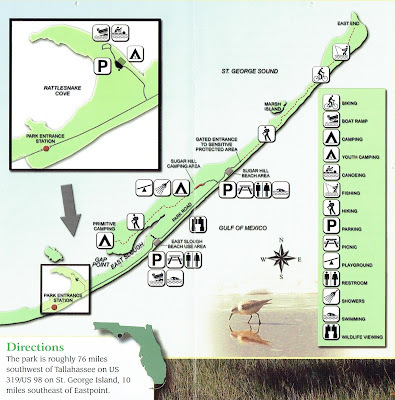 I am getting excited about going to St George Island State Park for the April 7th RaDAR Challenge. I coined this venue "RaDAR Heaven" in my video below of last April's RaDAR Challenge. This year, I will be assisted by Dennis WA6QKN and Suzy. In RaDAR, you are required to make five contacts before moving to the next location. We will transition on foot and paw between stops. We will alternate between the beach on the South Shore and a picnic area on the North Shore during the four-hour window of the challenge. Well considering the loadout for antennas and gear I will use the dog stroller. 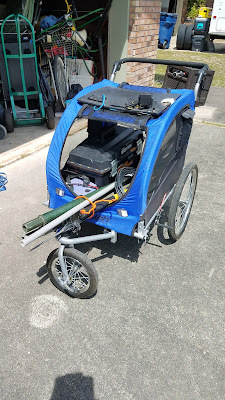 I call it the RaDAR Rover. St George Island, of course, is surrounded by saltwater. I am counting on the "saltwater effect" for vertically polarized antennas to help with RaDAR to RaDAR DX. The beach on the Southside has a good shot over saltwater for Eddie ZS6BNE and his friends in South Africa. I tested an elevated vertical this weekend in the front yard. It uses an MFJ 1979 telescopic whip about 17 feet long. I am using a set of adjustable dipole elements as radials. 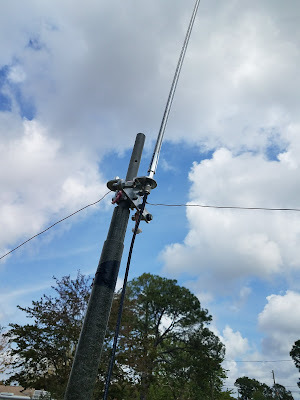 We will set this antenna up right at the surf on the beach. 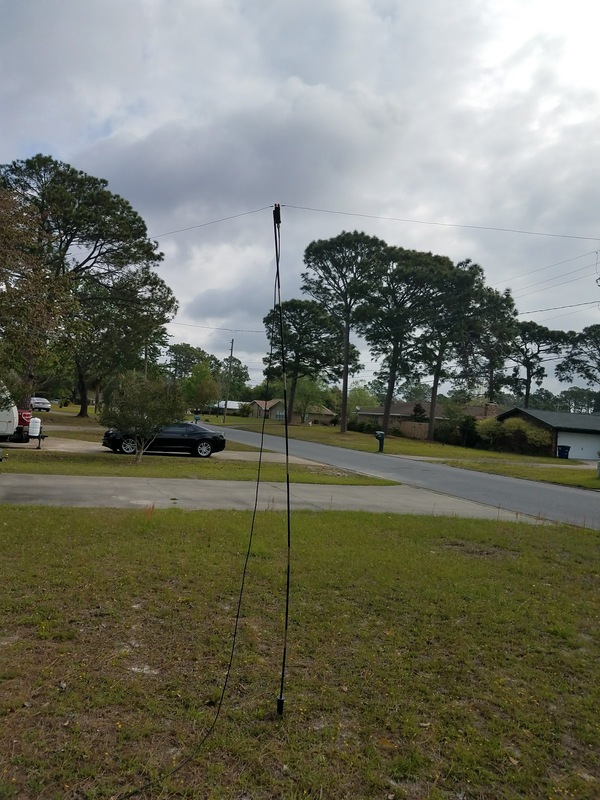 April 7 and 8th will also be the Florida State Parks On The Air Contest as well. The list of state parks being activated on the event website. As an activator, we can draw some contacts. It is nice to be chased. 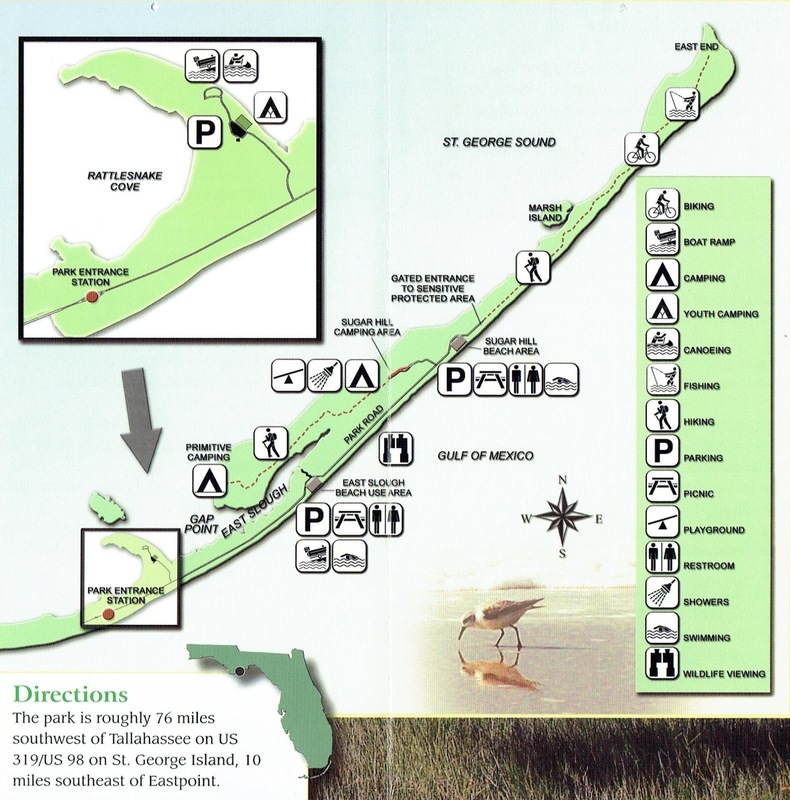 St. George Island is K-0635 for Parks On The Air POTA. A satellite pass will factor in. I have not determined which sat or pass will be timely. Working a sat is a bonus for the RaDAR Challenge and FL State Parks On The Air. I have recommended that chasers use HamAlert. On CW, I can just CQ de N4KGL and you will be pushed a notification. On SSB I can self-spot of DXWatch.com or someone else may spot me and you will be pushed a notification. There are several notification options in HamAlert. With the on and off nature of RaDAR bear with us. If a CQ does not work I will hunt and pounce. QSOs with friends during the event are greatly appreciated. If you want to brush up on the details of RaDAR Challenge see the rules at http://radarops.co.za/index.php/radar-rules/ Join us on the air! Our ops will be in the inset part of the map.